Kalimpong is a hill station in the Mahabharat Range in the Indian state of West Bengal. It is located at an average elevation of 1250 metres(4101ft). The town is the headquarters of the Kalimpong subdivision, a part of the district of Darjeeling. Gangtok – The precise meaning of the name Gangtok is unclear, though the most popular meaning is “hill top”.Today, Gangtok is a centre of Tibetan Buddhist culture and learning, with the presence of several monasteries, religious educational institutions, and centres for Tibetology. All Sightseeings as per the Itinerary. All Transfers as per the Itinerary. Arrival Delhi Railway Station / Airport / Hotel, Meet & Assist further drive to Haridwar. Transfer to your Hotel. Visit Har-ki-Pauri for Ganga Aarti in evening. Back to your hotel, Night halt. Driive to Barkot via Dehradun & Mussoorie. Enroute visit Kempty Fall and others later drive straight to your Hotel for night halt. Drive to Jankichatti / Phoolchatti, trek start from here to Yamunotri (6kms). Either by walk or by horse or by Doli at own cost. Arr. Yamunotri, One can cook rice by packing it in a cloth and dipping it in the hot water of the hot kund. Pilgrims take this cooked rice home as “Prasad”. Here near the temple “Pooja” can be offered to Divya Shila, After taking bath in Jamunabai Kund’s warn water and having “Darshan” of pious “Yamunaji” returning to Jankichatti. Later drive back to Barkot. Overnight stay at Hotel. Drive to Uttarkashi via Barkot. Check in Hotel, Later visit Vishwanath Temple. Night Halt. Uttarkashi: Situated at the bank of river Bhagirathi. The temple of Lord Vishwanath is located here where a massive iron trident is erected. Kedar Ganga Sangam: Around 100 Yards from the Ganga Temple flows the river Kedar Ganga. Starting from the Kedar Valle, this river meets the Bhagirathi on its left bank. Drive to Rishikesh. Check in Hotel. At evening visit Ganga Aari at Parmarth Niketan. Overnight stay. Rishikesh, the ‘place of sages’ is a celebrated spiritual town on the bank of Ganga and is surrounded by Shivalik range of the Himalayas on three sides. It is said that when Raibhya Rishi did hard penances, God appeared by the name of ” Hrishikesh ” and this area hence firth came to be known as Rishikesh. 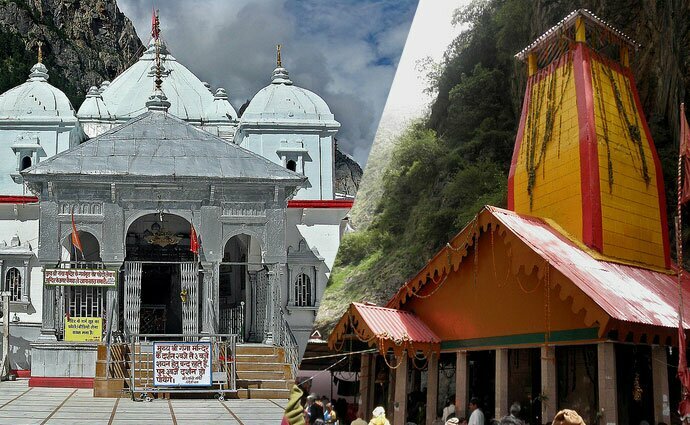 Temples & Sight Seeing – Laxman Jhulla, Ram Jhulla, Triveni Ghat, Bharat Mandir, Shivananda Ashram, Parmarth Ashram..